Elizabeth (Liz) Howell is an English major at Delta State. Her family originates from Chicago and Denver (her mother and father) and she herself was born in Mobile, Alab. After she moved here as a kid, she decided on Delta State as a good school to attend for college. 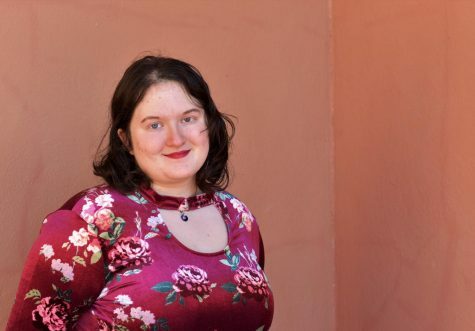 She has been involved in student publications before this year and is a valuable member to the copy editing team, rallying the other members and largely organizing the group. Her hobbies include writing, which she, sadly, has little time for now, and drawing. Another of her long time hobbies is video games, which she has a passion for. Two of her favorite games are The Legend of Zelda series and Skyrim, with the former being something she is a great fan of, evident by the tattoo of Navi (a character from The Legend of Zelda) on her ankle.